Although the demand for Alexandrite is not very high due to its price, Joesph’s Jewelry has the ability to make your greatest desires a possibility. We work with many different stone houses and have the capabilities to acquire many different stone cuts, colors, and qualities. The color changing characteristics of Alexandrite are unique to the stone and is not widely utilized in the industry. 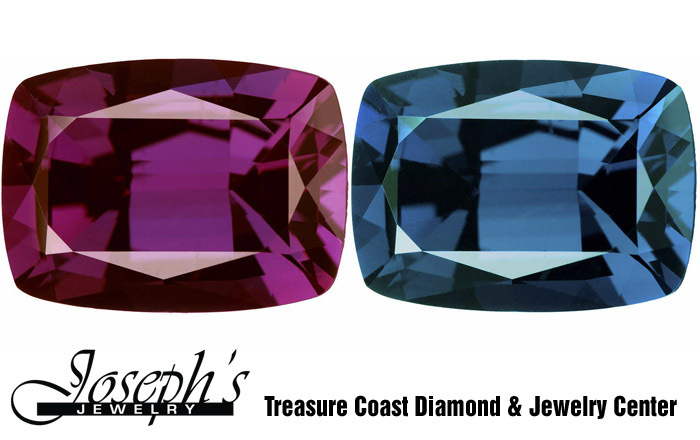 Joseph’s Jewelry is the premier location for custom Alexandrite jewelry on the Treasure Coast. From custom creations to designer favorites, we can take care of your every need. 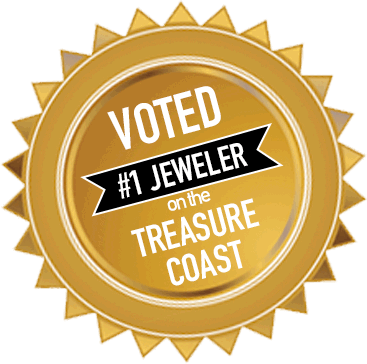 Check out our website for more information Alexandrite jewelry design, and repairs from the Number 1 voted jeweler on the treasure coast. “Night and day, the changing hues of Alexandrite enchant the eye and fuel the imagination. Its mesmerizing color swings – from red to green depending on the light source – makes it the most famous and popular of all color-change stones. First discovered in the Ural Mountains of Russia in the 1830’s, this gem helped celebrate the coming of age of Czar Alexander II. The name Alexandrite was bestowed on this newly found Chrysoberyl as a tribute to the young royal, and its green and red colors were reflective of tsarist Russia.